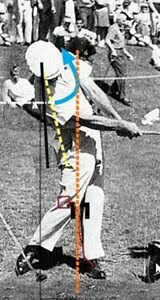 Ben Hogan, in his book, Five Lessons, talked about supinating the left hand at impact. This is seen when the left wrist is bowed out, and not arched inward. A supinated left wrist keeps the club accelerating, keeps the clubface traveling directly at the ball, and ensures a clean hit. All the good things that can happen at impact are encouraged. The trouble is, this is fairly difficult for amateurs to learn how to do. What is simpler is to concentrate on a feeling that gets the job done without you being concerned with pronating or supinating. It’s all in how you take your grip. The base of your left thumb fits into a pocket formed by the pads at the bottom of the right hand when that hand folds over the left. The trick is to press your hands together at this spot, very lightly, but by enough to keep them from separating during the swing. This is done by taking your grip and then and turning your hands about just a bit toward each other. If you do, you will feel increased pressure of the base of the left thumb against the pocket of your right hand. Don’t push your hands together too hard. There should be no tension radiating into your forearms. Sitting firmly next to each other might be a better image for what your hands are doing than pressing together. When you don’t have solid contact here, your hands can separate and start acting independently. 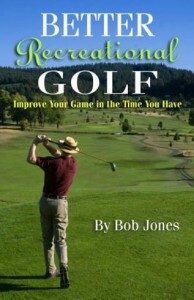 This has the immediate effect of turning the club, which moves the clubhead out of square. 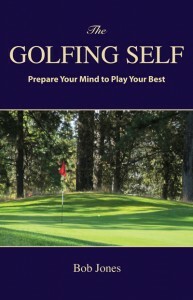 It also encourages you to hit with your right hand, which leads directly to flipping the club through impact, a well-known cardinal sin of the golf swing. Now you can still flip, but you have to do it with both hands at the same time, and that’s pretty tough to do. If, however, your hands are leading the clubhead through impact, like I tell you gals and guys over and over and over, you can’t flip. You just can’t do it. So try this out. At first you will likely push your hands together too much, and you will feel all locked up when you swing. Ease off until you find the pressure at which your hands stay firmly together, yet you are still able to swing the club freely. There is an ancient exercise that teaches this same point. Get a long blade of grass and put it between your left thumb and the right hand pocket. 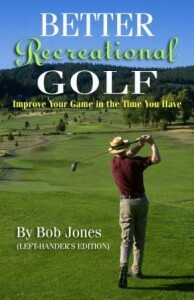 You should be able to swing the club without the grass falling out. Be aware that this post is not about grip pressure. That refers to how firmly your fingers hold the handle when you wrap them around it, and that’s another post.